The staff is very nice, thoughtful and professional. The place is so quiet and calm, it's amazing in BKK and nice cafes around. Located at Sukumbhit Soi 36 but the house number 11/3 is mentioned first ! So one is led to believe it is located at Sukumbhit Soi 11/3 ! I knew Soi 11/1, so I thought it would be next one and never found it. It was hell, three stations further down at Thonglor ! The room big and clean ... but ... highly inconvenient. The plug points, sockets etc. are at ground level which makes it so difficult to make coffee and tea! One has to put the coffee machine on the floor! The bathroom , 3 steps down the bedroom without any railing to hold! Watch out seniors specially when you need to use it at night! The breakfast, miserly at US$10.--. No decent food outlet north-east-south-west in the next 1 kilometre. Every day I had to go three stations down thrice to have my breakfast, lunch and dinner. I stayed there for 4 nights, no choice as I already paid for it and found only one customer. The worst hotel in my 46 years of travel! Beware ! What the hell was I doing here ! 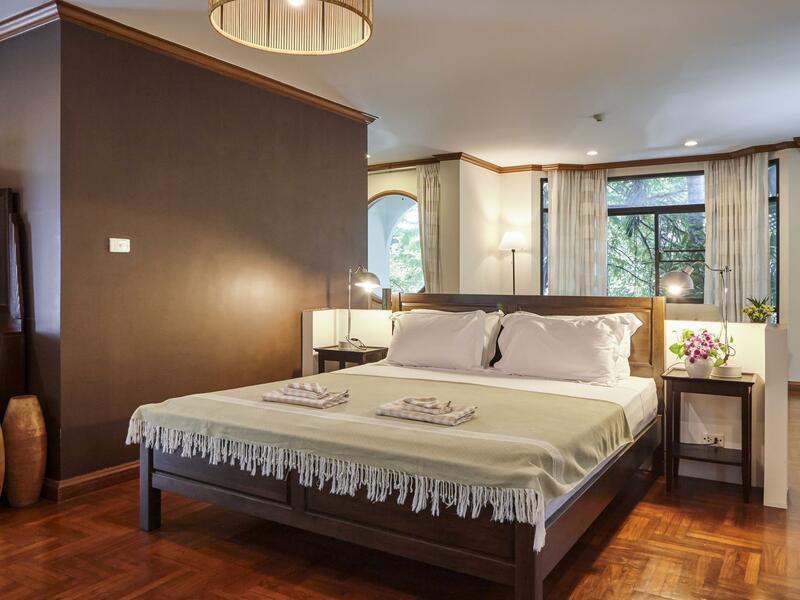 Relatively convenient location of hotel, BTS Thonglor is about 15mins by foot. Hotel provides free tuktuk service to nearby restaurants and BTS from 9am to 7.30pm if I'm not wrong. Overall great place to stay in a location that is young, hippy and much cleaner in comparison to popular places like pratunam. Room was huge and cosy but there is no lifts so it will not be suitable for elderly. However, due to material of flooring outside the room and maybe thin doors, whenever someone walks past (or climb past cause stairs were directly infront of rooms), it can be very loud. While rates are very affordable, we were also slightly disappointed that we had to pay half day rate for late check out as the hotel was evidently not in demand at our time of stay. Overall, great stay in a peaceful location. Didnt get to try their breakfast as we always wake up late. I not not say enough good things about our experience here . From the start of our trip to the end the staff was so kind and helpful with all our questions -in particular wynem, I think that's how you spell it ?the front desk associate.the location is barely a 5 min walk to the BTS station to take you anywhere in Bangkok . There is a security guard at the gate 24 hours , a tuk tuk that runs for you free of charge anywhere close by you need to go and the staff kept our room super clean and replenished with cold waters and new towels every day. They can help with recommendations for things to do in the city , places to eat (they even give you a little map cheat sheet when you come in ! ) there is a safe for your belongings and amazing air conditioning ! We were happy we chose this cute little place over a big hotel, it felt so much more authentic . It was the best home away from home in the city that never sleeps we could have asked for ! Ten stars across the board ! We will be back ! 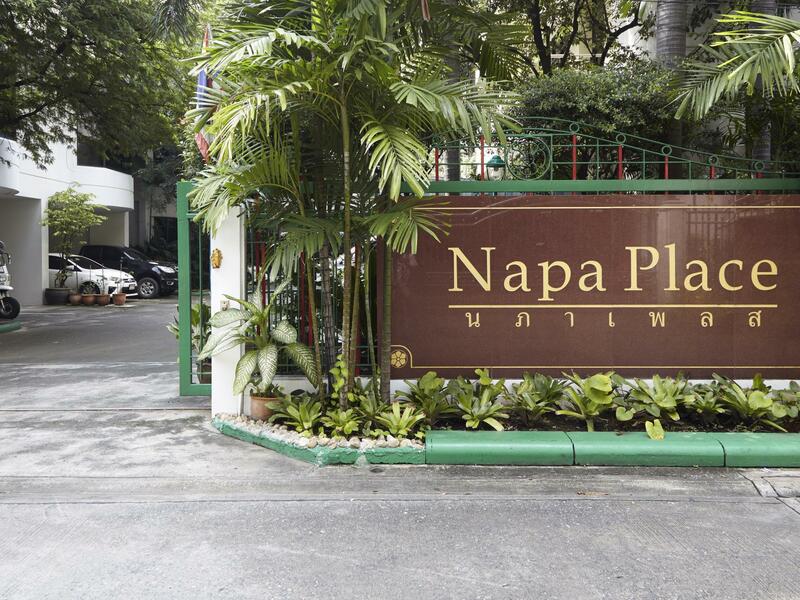 The Napa Place Boutique Hotel is a very nice villa with few rooms. The atmosphere is very familiar and the staff is kind and welcoming. That location is just few minutes away from BTS Bangkock skytrain and there is a tuck tuck available to bring there all day up to 19.30. We stayed in the Junior suite very very nice and caratteristic. Traditional with all the mod cons and friendly staff. Good location! Room is so confortable and staff is very kind! Location also good, just 3 minutes to BTS station by walk and they have Tuktuk service. They make you feel welcome as soon as you walk through the door, the receptionist was super friendly that helped us get to our destinations, security guard and their own tuk tuk driver on site. My stay at Napa Place Boutique Hotel exceeded my expectations. They had a welcome board for me as soon as I arrived and have 24/7 security with a tuk tuk driver on site that will help you get to your location with no extra cost -- which encouraged us to tip him to wherever we were wanting to go. The atmosphere felt like home and they gave us complimentary house slippers before we left. 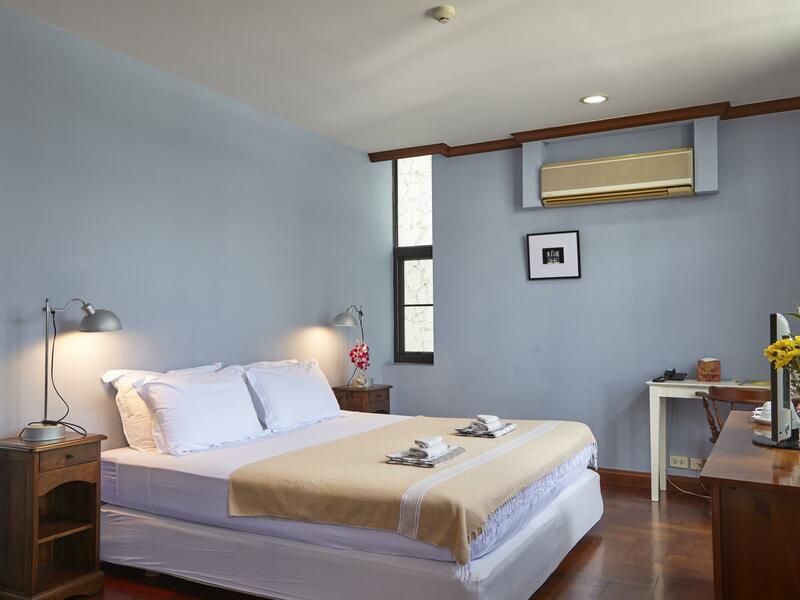 This hotel exceeded my expectations and I would book again if I need to stay close to Thonglor BTS or Sukhumvit.